Based on A.R.E. 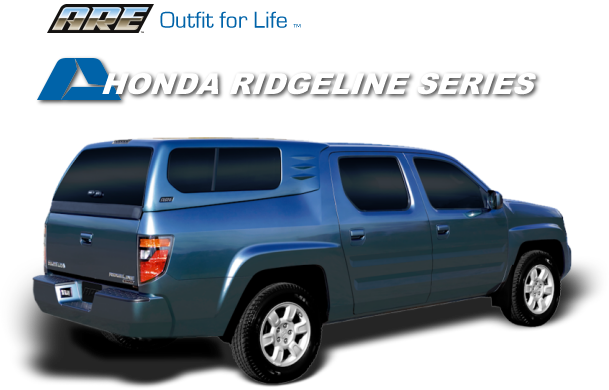 's Z Series, this cap was carefully designed to seamlessly complement the design of the Honda Ridgeline. The biggest challenge with developing the cap was matching the unique interior and exterior body contours of the Honda Ridgeline. A.R.E. successfully designed a cap that mirrors the Honda Ridgeline, but also maintains the full functionality of the truck bed. Specially designed side-vent windows match the Honda Ridgeline's cab windows, and a unique clamping system prevents the need for drilling and allows the cap to fit tightly in alignment with the Honda Ridgeline truck bed.